You already know how to get Microsoft® Office Excel® 2016 to perform simple calculations to make your job easier. However, manually entering formulas will take you only so far. 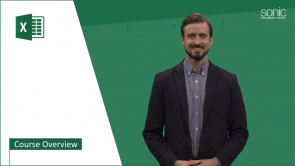 As you progress with Excel, you'll need to know how to ask Excel more complex questions about your data and to get the answers you expect.